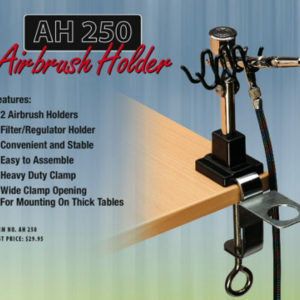 It holds two airbrushes and features a filter/regulator holder and heavy duty clamp with a wide clamp opening for convenient mounting on thick tables. The Cobra Coil Airhose is unique in its design because it recoils out of the way when not in use. 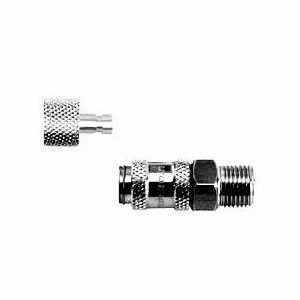 The 10′ hose is made of strong Polyurethane and can be used with all Iwata airbrushes/spray guns, and most other airbrush brands. Filtre de remplacement pour la Station de Nettoyage « Table Top ». 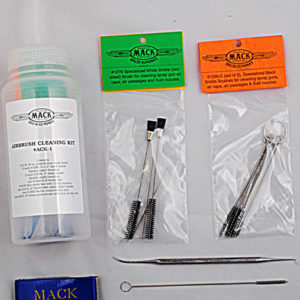 Professional MACK BRUSH AIRBRUSH and SPRAY GUN Cleaning Kit to keep your spraying equipment clean and efficient Keep your airbrushes and guns working with peak performance! For use with hoses equipped with the quick disconnect system. 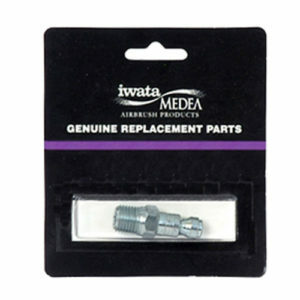 Available separately for use with additional airbrushes. Allows versatile use of mutiple airbrushes with one air source and air hose. With NO OVERSPRAY while cleaning your airbrush, the Table-Top Cleaning Station with an easy-to-clean container proves to be an easy and portable solution for your painting needs. Comes with an easy-to-change filter. *Airbrush not included. After airbrushing with the Artool Freehand Templates (FH 1, 2, 6, 7 and the RV Master Series) to render fire on hotrods and motorcycles, Mike Lavallee decided to work with Artool&reg; to create a unique set of templates for realistic flames: TRUE FIRE. Comes with an instructional DVD.